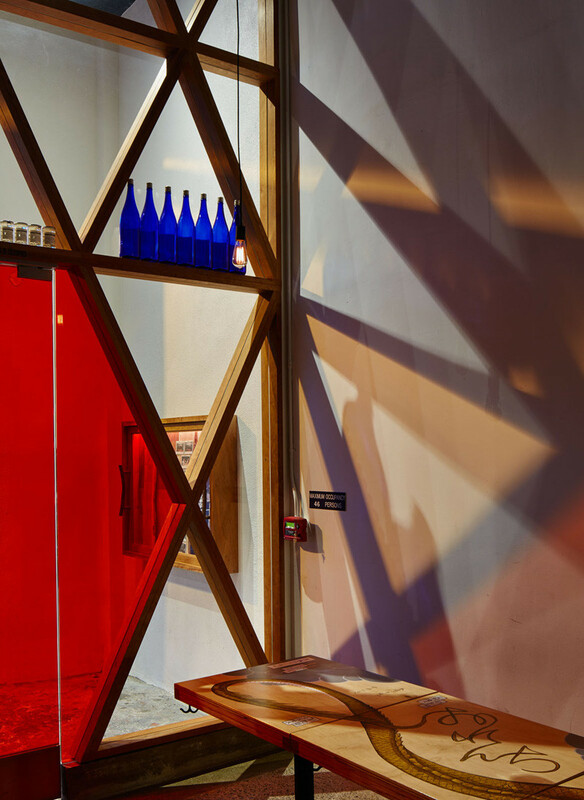 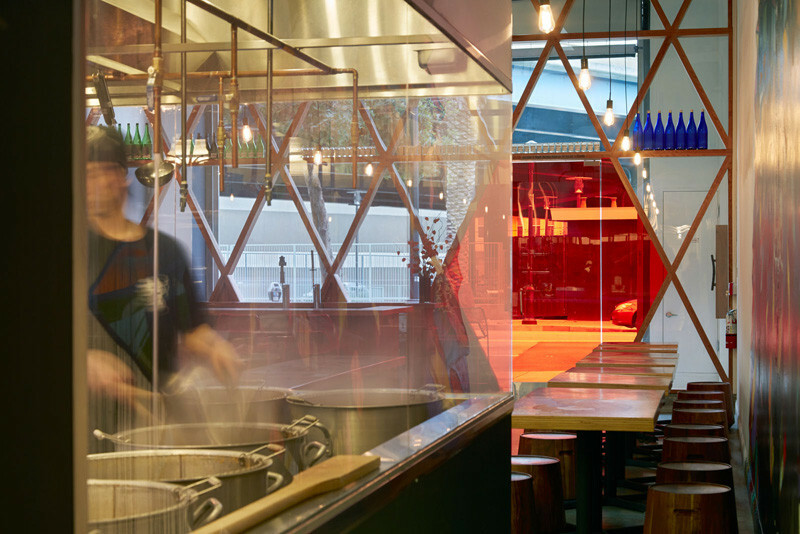 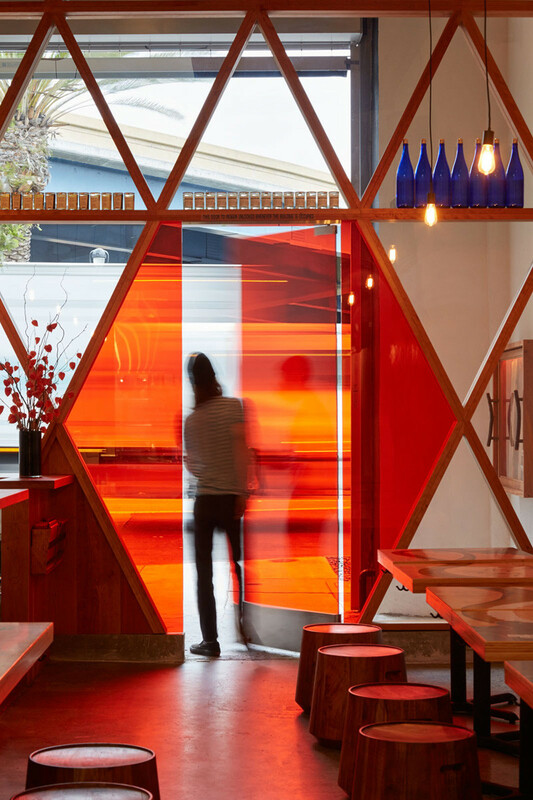 Architect Craig Steely has sent us photos of his latest work, Orenchi Beyond, a ramen bar located in the Mission District of San Francisco. 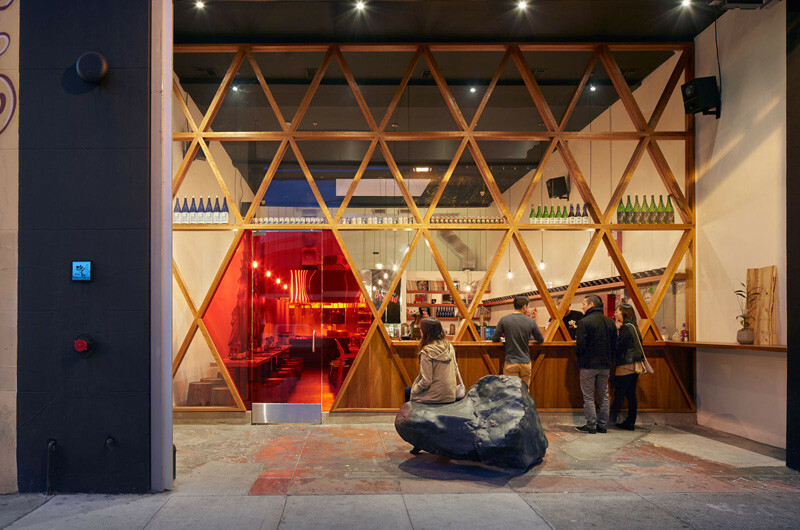 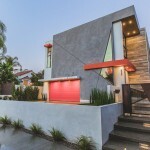 Taking in the inspiration from Japan, original street facade was demolished and pushed 12 ft into the space, therefore creating a gathering space between the sidewalk and the the interior. 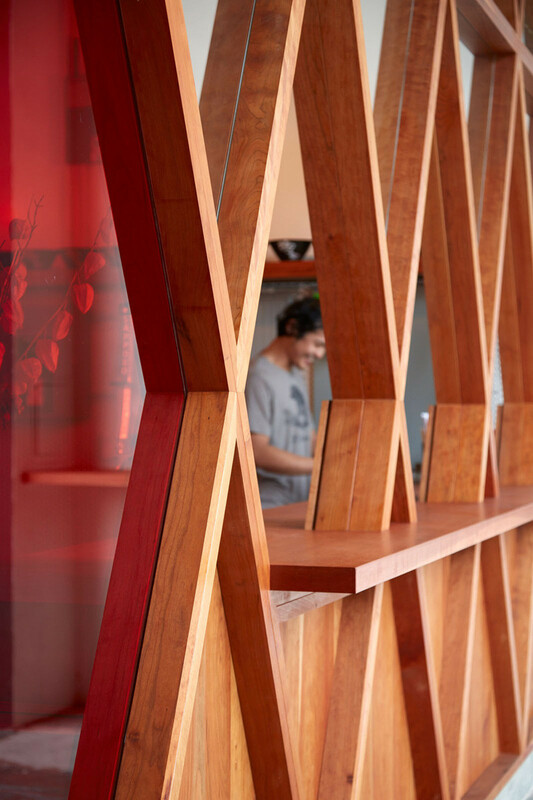 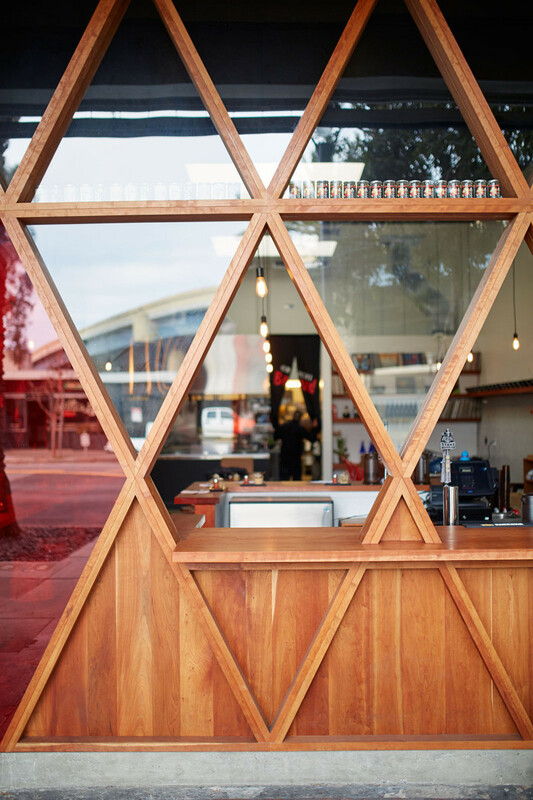 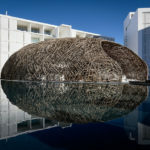 The new storefront has been made from Sakura wood, with windows allowing diners to eat and drink both indoors and out. 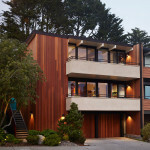 Here’s a close-up look at the woodworking on the facade. 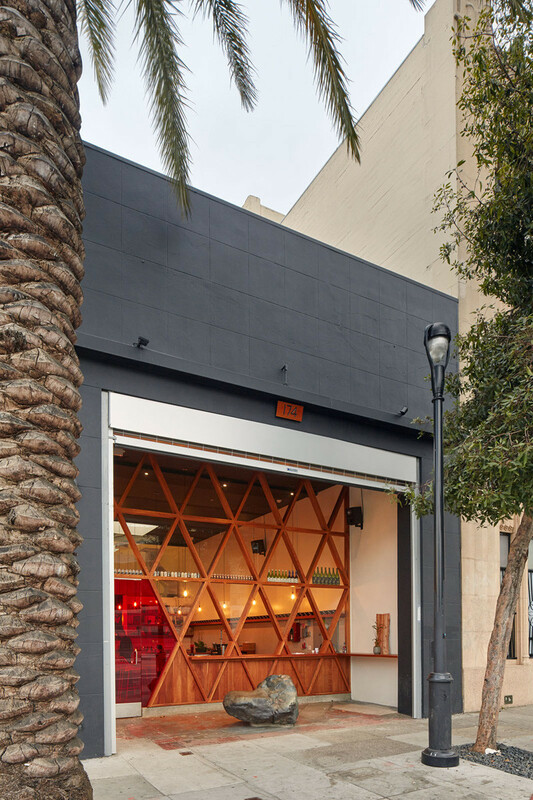 An orange/red door guides you into the space. 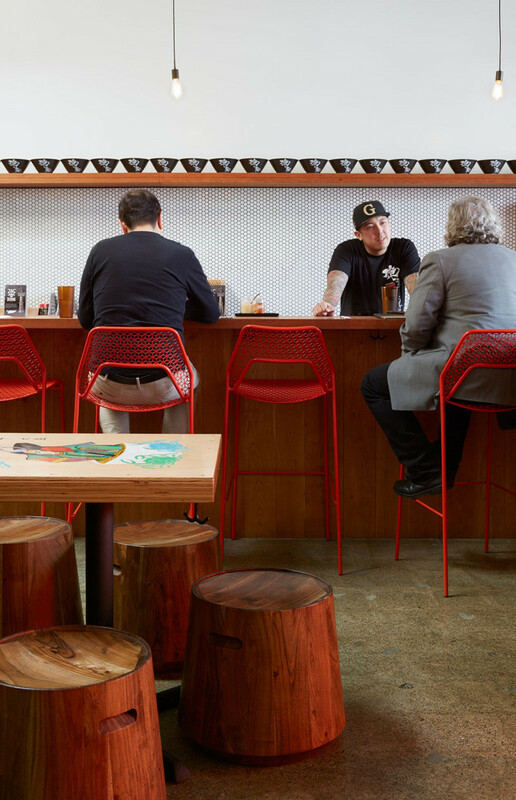 The stool seating has been inspired by traditional Japanese sake barrels. 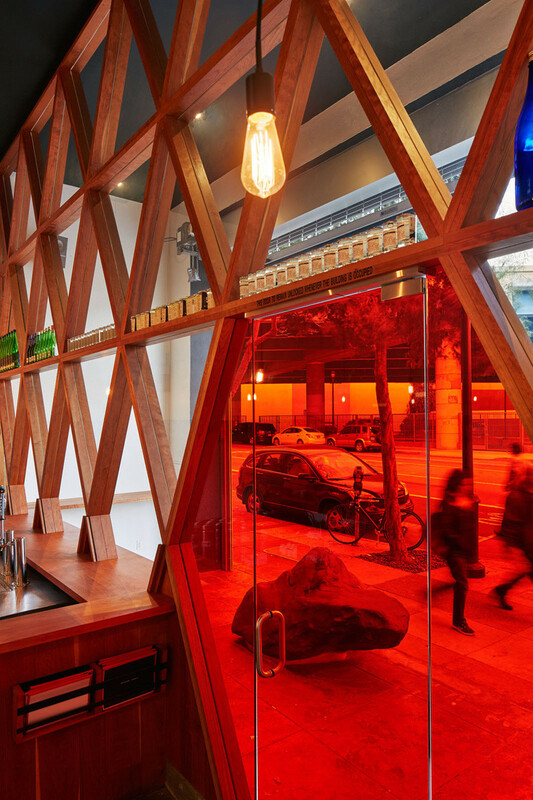 The wood frames cause shadows to project onto the walls. 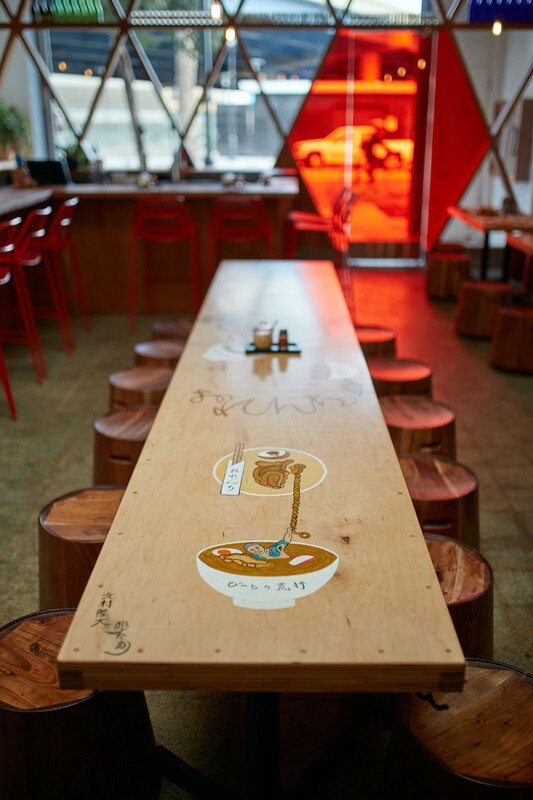 The tables have been painted in Japanese tattoo styles depicting traditional Japanese myths and Yakuza movie mash-ups. 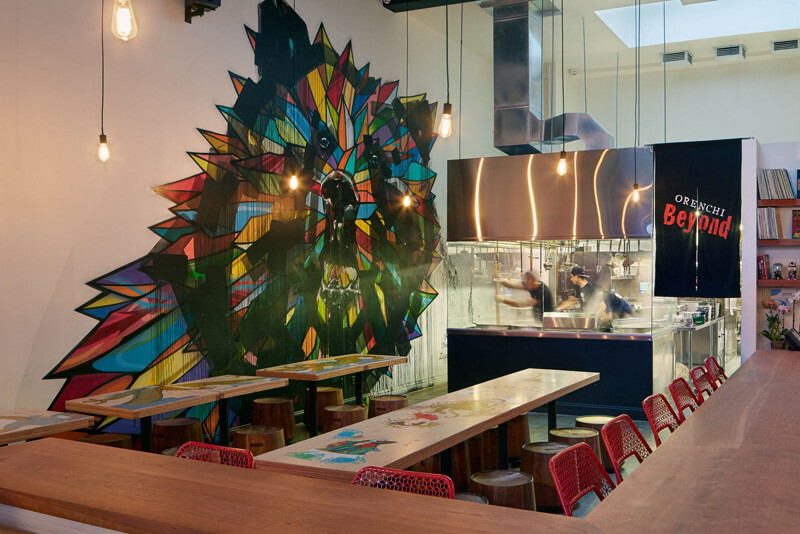 A large bear mural covers the wall near the kitchen. 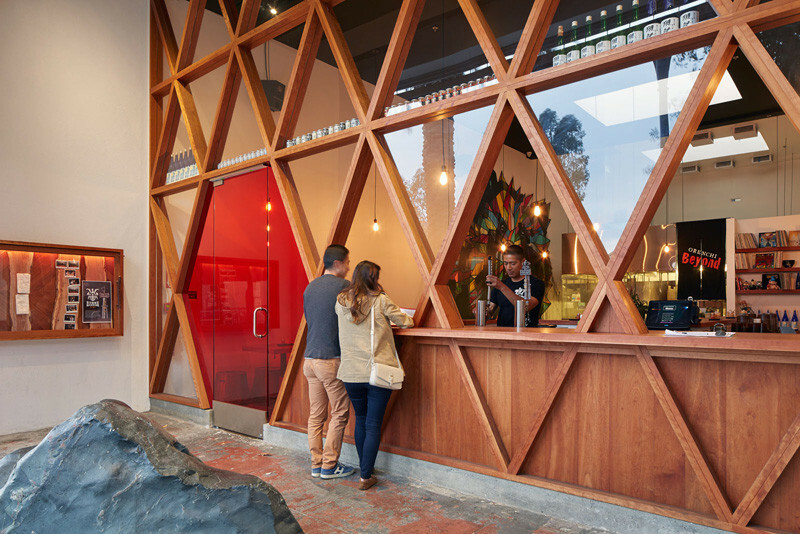 The space also has a bar with seating. 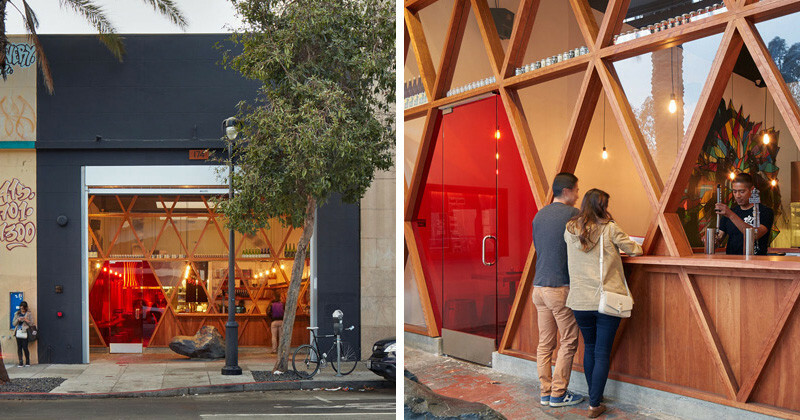 If you’re in San Francisco and want to check it out for yourself, Orenchi Beyond can be found at 174 Valencia St.